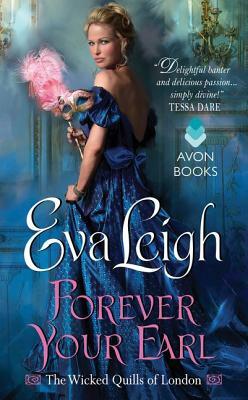 Eva Leigh's irresistible new series introduces the Wicked Quills of London: a group of bold, brilliant female writers whose spirited allure is beyond seductive . . .
Daniel has secrets, and if The Hawk's Eye gets wind of them, a man's life could be at stake. And what better way to distract a gossip than by feeding her the scandal she desperately craves? But Daniel never expected the sharp mind and biting wit of the beautiful writer, and their desire for each other threatens even his best-laid plans.